When you answer your tickets on your helpdesk, at times you may need help from your team mates. 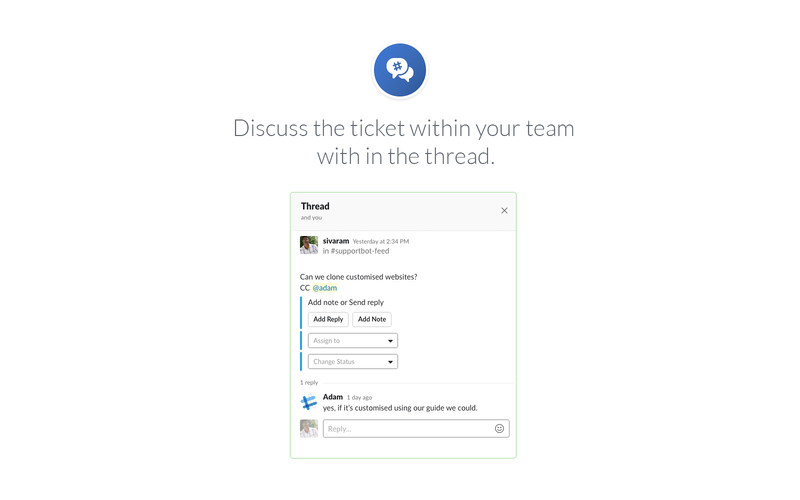 With interbot, your team is just a click away to help you with your support tickets. 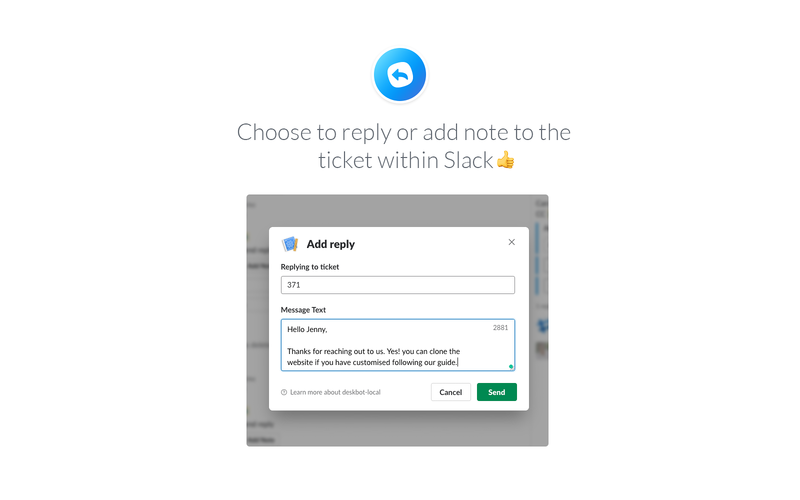 Your team can answer your questions from Slack.Your team can reply or add notes from Slack so they don't have to switch tabs.interbot helps you to answer your tickets faster and in real-time with help of your team in Slack. interbot will be able to access basic information about your public channels (including names, topics, purposes, creation date, and latest message). 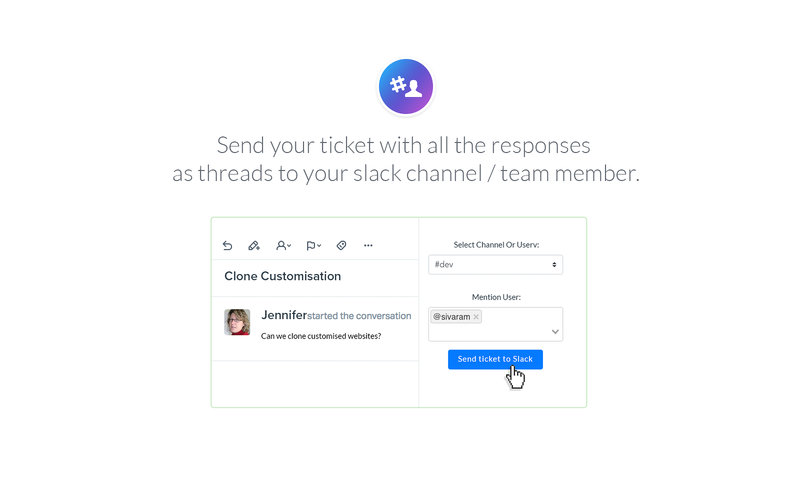 interbot will be able to view the email addresses of your Slack workspace’s members. interbot will be able to send messages to your workspace. 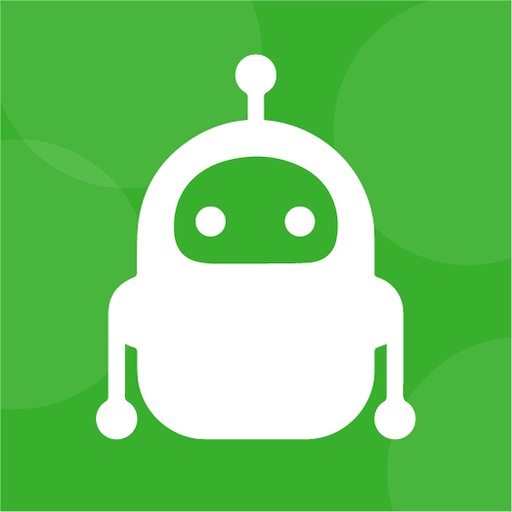 interbot will be able to install a bot user that appears in and has access to your workspace’s directory. It can also post messages and view activity on messages in any channel it is invited to. interbot will be able to access profile information for all users on your workspace, including names and contact information. interbot will be able to send messages on your behalf to your workspace.